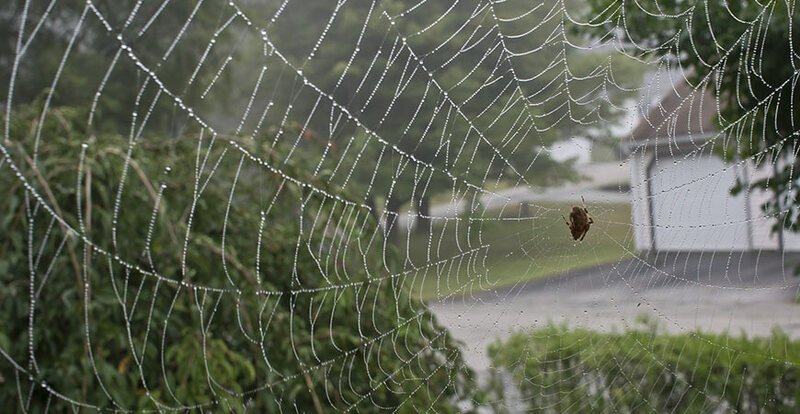 Spiders are an unwelcome guest, but that doesn’t stop them from trying to turn your house into their home. These 8-legged creatures are pests that no one wants crawling all around their living spaces. 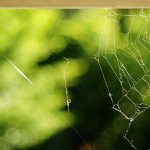 Stop chasing spiders and read on to learn how spiders get inside your home and how to get rid of them for good. How Do Spiders Get Inside My Home? Spiders can enter buildings through doors, windows, air vents, and any other openings. Any unfilled holes or cracks are possible entrances for spiders into your home. 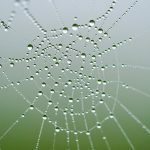 Furthermore, spiders get inside buildings in spots where cables, pipes, and plumbing lines are connected if there are any small gaps around the area. You can reduce the number of places where spiders get inside your home by checking for potential openings and sealing up as many as you can. Another way spiders get inside is by hiding in objects that are brought into your house. 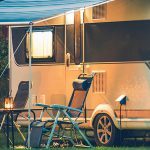 Common examples of objects that could contain spiders include; firewood, plants, camping equipment, storage boxes, toys coming in from the yard, etc. Check for spiders before carrying in anything that was previously stored outdoors, especially if the item was kept outside for an extended period. Spiders get inside your house looking to fulfill the same three basic needs; food, water, and shelter. Read on to learn how you can turn your home into a place where spiders do not want to live! Where Are Spiders Most Likely to Hide Inside & Outside My Home? Different spiders prefer different living environments. Some spiders are attracted to moisture, so they take shelter in basements, crawl spaces, and other damp areas inside a home. Other spiders prefer drier environments such as; air vents, high upper corners of rooms, and attics. Most common house spiders actually spend their entire lives indoors. House spiders tend to live in quiet, hidden spaces where they can find food and water. Spots that are not fully visible or that have a lot of clutter make it easy for spiders to hide. This is why you will often find spiders in storage spaces, garages, eaves, sheds, light fixtures, and forested areas. What Types of Spiders Are Most Likely to Come into My Home? There is a variety of spiders that might enter your home. One of the most prevalent house spiders is the Parasteatoda tepidariorum (common house spider), it is native to North America, but it can be found all over the world. 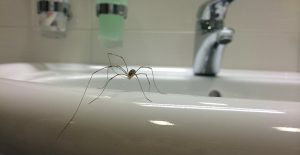 Other common spiders that live in North America include; Pholcus phalangioides (cellar spider), Lycosidae (wolf spider), Eratigena duellica (giant house spider), Salticidae (jumping spider), and Kukulcania hibernalis (Southern house spider). Common house spiders are not inherently dangerous to humans. However, spiders and the webs they create can be a nuisance. Most house spiders only bite if they are in a life-threatening situation. Spider bites from the majority of common house spiders are not deadly. However, it is a smart idea to keep spiders out of your home because there are a few spiders in North America that can be dangerous to people. These spiders include; Eratigena agrestis (hobo spider), Cheiracanthium mildei (yellow sac spider), Herpyllus ecclesiasticus (Eastern parson spiders), and other non-venomous spiders that can have a painful bite. The venom from a spider bite can cause moderate discomfort with short-term side effects. Seek medical attention if your spider bite symptoms worsen over the span of 24 hours. If you have elderly family members, young kids, or pets that are not in good health, it’s best to err on the side of caution and try to keep spiders out of your home at all times. Especially because pets and people who are very young or very old are more susceptible to having a more severe reaction to toxic spider bites. Miss Muffet’s Revenge keeps spiders out of your home by creating an invisible barrier that spiders won’t cross. Spray it around the perimeter of your home in a 12-inch band until the surface is slightly wet. Leave the surface untouched for one week, and then go back and clean up any cobwebs. Miss Muffet’s Revenge will continue to keep spiders out of your home for up to 12 months after application. If you already have spiders in your home, you can use Miss Muffet’s Revenge as an indoor spider killer. To apply, spray a 4-inch band along the interior of your home in areas where spiders are a recurring problem. Clean up any visible cobwebs directly after application. You can also use Miss Muffet’s Revenge to kill spiders by spraying them directly. Look at all of your windows to see if you have any loose or ripped screens. Check to make sure doors leading outside are creating a tight seal when closed. Try to decrease the amount of outdoor lighting you have near windows and doors, as this can attract spiders. Household pesticides can also present a real danger to you and your family’s health if you use more than the recommended amount. For safety purposes, you should always read and follow the label directions on any product you use in your home. Using too much of any pesticide can pose serious risks, so don’t assume that using double the amount of product will be more effective. Unlike many other spider control products, Miss Muffet’s Revenge does not leave behind harsh chemical fumes. Our formula allows you to keep spiders away from your home without dealing with an overpowering scent. Luckily, Miss Muffet’s Revenge is also safe to use on outdoor and indoor surfaces as long as you follow the proper safety precautions. Just keep people and pets away from any areas where you have applied Miss Muffet’s Revenge until the product has dried completely. Indoor surfaces where you might see spiders include: stairwells, basements, garages, crawl spaces, closets, storage areas, boxes, under stairs, on windows, door frames and ceilings. Spiders also hide on outdoor surfaces such as: the foundations of buildings, eaves, shutters, window corners, light fixtures, wood piles and other debris. 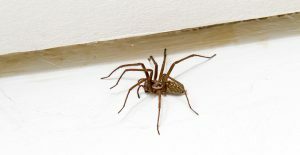 Use Miss Muffet’s Revenge to get rid of spiders in these common areas in and around your home. Start effectively removing and preventing spiders from entering your home with your first application. Areas that are exposed to the elements may require more frequent applications than areas without weather exposure. Miss Muffet’s Revenge offers total indoor and outdoor spider control and home protection for up to 12 months. If you’re having trouble keeping spiders away of your home, and you’re looking for a simple solution, try Miss Muffet’s Revenge! Click here to buy Miss Muffet’s Revenge today, or click here to find it at a store near you.